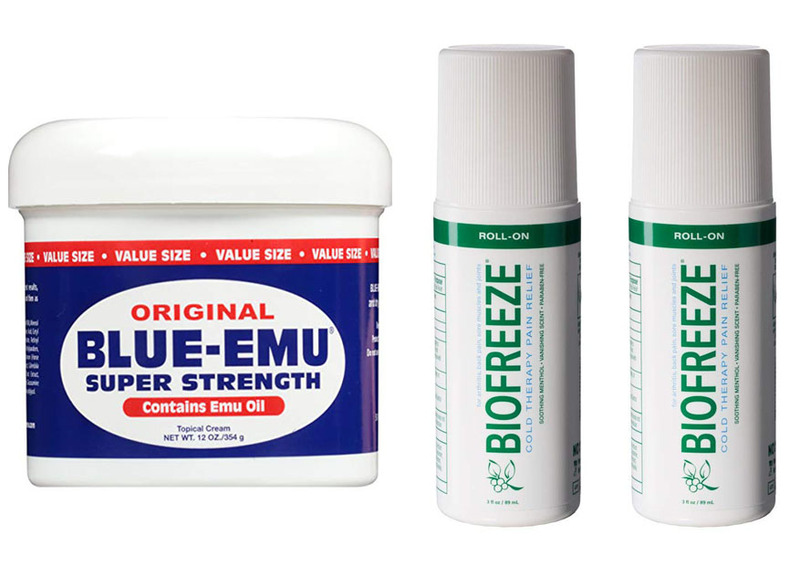 Blue Emu and Biofreeze are two famous products for pain relief. They are suitable for relieving muscle pain and joint pain. However, they are two very different products with different ingredients and working mechanisms. So, between Blue Emu vs Biofreeze, which one is better? First of all, let’s compare the ingredients of Blue Emu vs Biofreeze because they work with very different formulas. The effectiveness and suitable uses of a product greatly depends on the ingredients that it uses. Both products are for pain relief, but they work in different ways. See also: Biofreeze vs Icy Hot. Blue Emu has a pretty long list of ingredients, but there are four main ingredients that are responsible for the pain relief purpose. These main ingredients include emu oil, glucosamine, MSM, and aloe vera gel. Both glucosamine and MSM are essential for repairing damages tissue and joints, and both have anti-inflammatory properties to reduce pain. Aloe vera gel is used for healing and softening the skin. According to Medical News Today, emu oil is a powerful transdermal carrier. Emu oil is a bright yellow liquid composed of mostly fats, acquired from the emu bird. Blue Emu claims that it only uses emu oil that is certified by the American Emu Association (AEA). Emu oil is believed to be able to penetrate deep through the skin into the muscle and joint, and is used to bring the glucosamine and MSM into the problematic area. Biofreeze only has one active ingredient, which is menthol 4%. There are several other inactive ingredients, including aloe barbadensis leaf extract, arnica montana flower extract, green tea leaf extract, carbomer, camphor, glycerin, and vitamin E.
The core idea of Biofreeze is cold therapy. It is just like applying an ice pack to your sore muscle or joint. The menthol content will deliver a cool sensation that numbs the affected area. This will interfere with the pain signals so that your bran will not feel the pain any more. In addition, the menthol content also promotes vasodilation, which increases the blood flow on the affected area so that more oxygen and nutrients can be delivered to the cells. This will enhance the healing and recovery. The inactive ingredients may also promote healing, although they don’t have a significant role in the pain relief mechanism. Blue Emu is suitable for most kinds of muscle and joint pain. If you often experience muscle or joint pain after a workout session, applying Blue Emu to the sore area can greatly speed up the recovery process. It is suitable for athletes and bodybuilders to reduce or prevent muscle and joint pain. Blue Emu is also recommended for people who are recovering from a serious injury and people who are taking a physical therapy. This pain relief cream can help to reduce the pain and enhance the healing on the damaged area. Biofreeze is great for immediate yet temporary pain relief. If you experience muscle or joint pain, and you need a quick solution so that you can continue your activity without being bothered by the pain, Biofreeze is the way to go. Hence, Biofreeze is recommended for gym goers, bodybuilders, and athletes in practice sessions as well as real competitions. According to the label, Biofreeze is also recommended for backache, arthritis, strains, and sprains. When choosing between Blue Emu vs Biofreeze, you need to consider what kind of effect that you really need from the treatment. Blue Emu takes some time to take effect. Biofreeze is generally immediate, but the pain relief is not permanent. Blue Emu takes some time to take effect because the active ingredients need to be absorbed into the affected area first. Then again, the active ingredients also require some time to interact with the surrounding tissue. However, Blue Emu is known to be highly effective for pain relief and healing. The pain relief usually lasts longer. 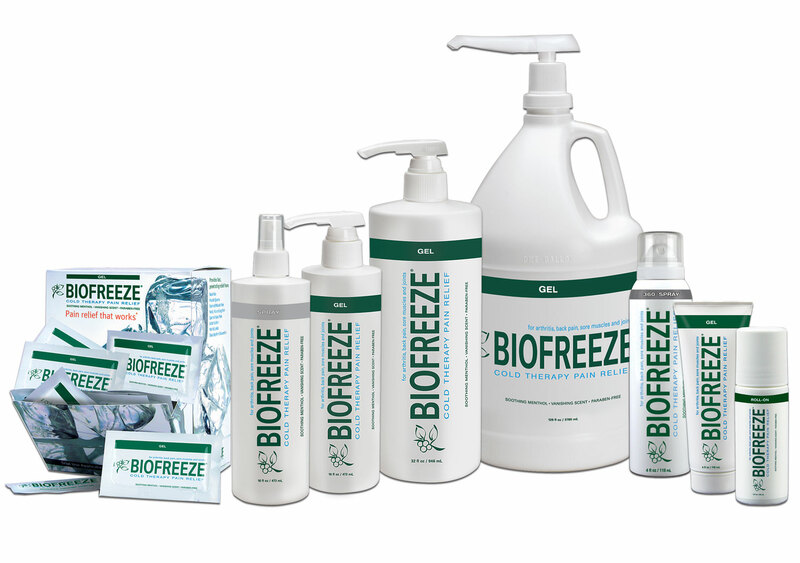 Biofreeze can give you immediate pain relief. This is because the menthol content can work right away on your nerve system to interfere with the pain signals. It is great when you need to quickly resume your activity. However, Biofreeze is only recommended for light injuries. When dealing with a more serious condition, the pain relief is only temporary. The condition needs to be treated to avoid recurring pain after the effect of Biofreeze is worn off. According to the label, Blue Emu can be applied liberally as needed. In other words, you can apply the pain relief cream as many times as you want. Even so, try not to apply it too much right away, as it needs some time to deliver its effect. For the best results, you should apply it 2 – 3 times a day for about two weeks. Afterwards, you can use it only when needed. In order to use Biofreeze, you only need to rub a thin film of the gel over the affected area. You can use it for up to 4 times a day. Massaging is not necessary for the application. However, you should consult with a physician before using Biofreeze for a child under 2 years old or for sensitive skin. If the condition worsens or persists for more than 7 days, you should meet a doctor. Blue Emu is odorless, so you can use it without causing a funny smell. It has a cream form, but it is non-greasy. So, you can apply it onto your skin without having to worry about a greasy leftover. It can be absorbed well into the skin, and it is almost like a moisturizer as it makes the skin soft. On the other hand, Biofreeze has an initial scent of menthol. Fortunately, the smell is not bad at all, and it goes away pretty quickly. The smell will not linger around for a long time. Biofreeze is also non-greasy, so it will not leave any annoying leftover on the skin. It is absorbed well into the skin. These two products are for different purposes. 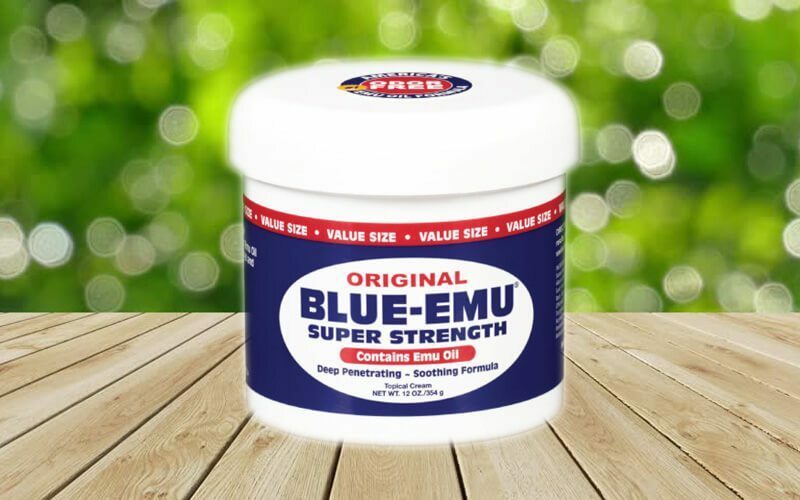 However, Blue Emu is generally more recommended because it is better in promoting healing in the affected muscle or joint. Biofreeze is good for immediate pain relief, but the effect is only temporary.